The sacking of the former Secretary to the Government of the Federation, Mr Babachir Lawal, by President Muhammadu is like a painkiller to the ruling All Progressives Congress' headache. Hours after his sack was announced, the APC said that the party has been vindicated. 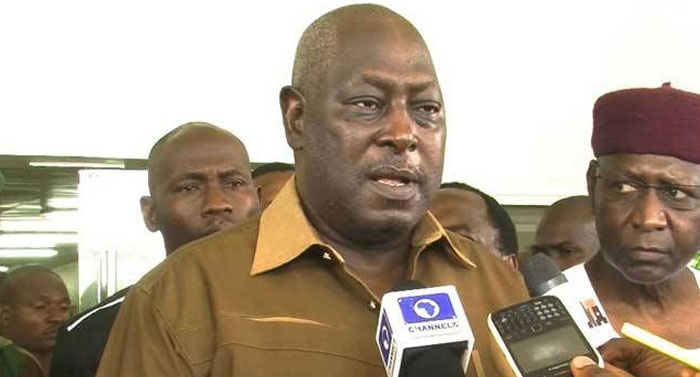 Its spokesman, Mr Bolaji Abdullahi, gave the party's position on Mr Lawal's sack on Monday, expressing the party's support for the President's decision. "Few days ago when the President directed the dismissal of Abdulrasheed Maina, some people say that is right, but what about the suspended SGF. "But the President, by virtue of the position he occupies, is the only one who has all the information and he would do what is necessary at the right time. "We have been vindicated and it shows that the President has not in any way waiver in his commitment not to tolerate corruption at any level no matter who is involved," he stated. Also reacting on the development, the Chairman Presidential Advisory Committee on Anti-Corruption Professor Itse Sagay, said the former SGF’s sack was overdue. "I think there has been a consensus on this and that was overdue, there has been too much delay. "Although I will like to put a caveat that government usually has a lot more information than the rest of us as the delay might have been discretionary due to the information they had. "I was patient and I definitely endorse the final decision that has been taken," Sagay stated. On the appointment of Boss Mustapha as the substantive SGF, Sagay said he had a very long history of political activities, saying his appointment was a positive development. He added that apart from being a lawyer with good reputation in terms of integrity, Mustapha had always been a consistent person in whatever course he pursued. Mr Babachir Lawal's sack came 6 months after he was suspended. The report of a committee set up to investigate him for corruption allegations has not been made public.